Steven Houtbraken's Speedster. 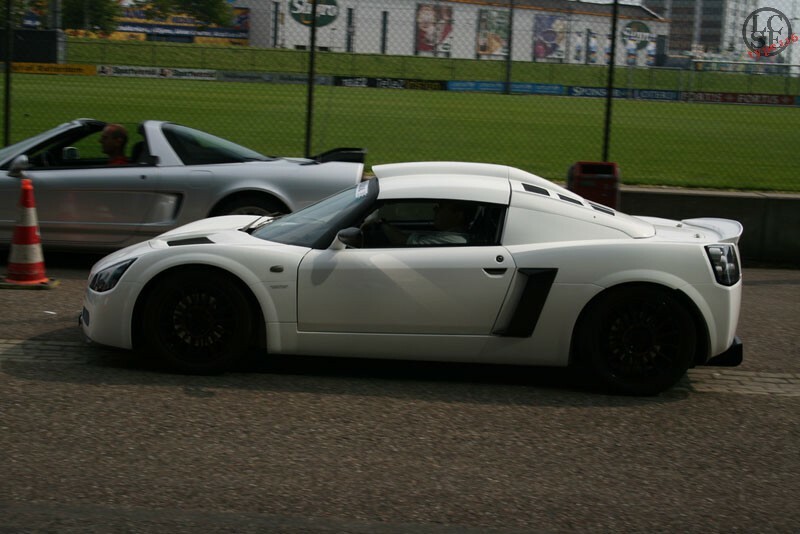 The car has been a project by Steven in cooperation with Lotus Amsterdam. 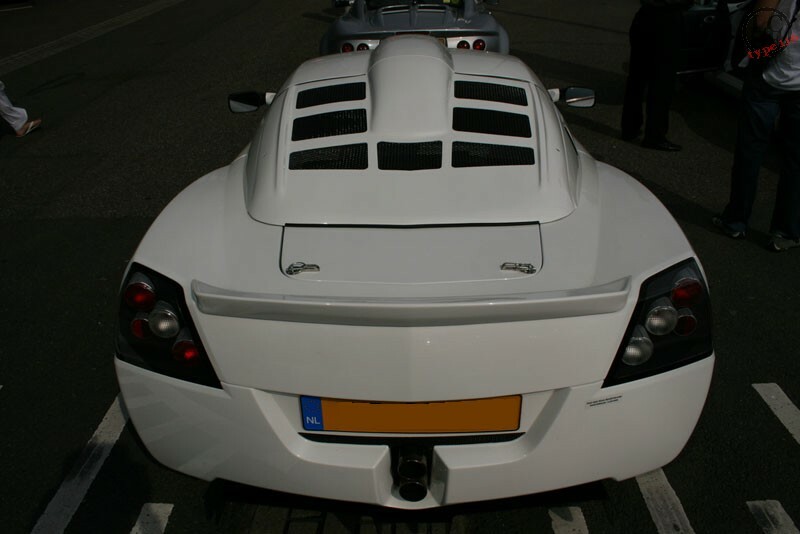 The car has the Badster coupepart (with added vents by Lotus Amsterdam) along with an extended roofscoop also made by Lotus Amsterdam. 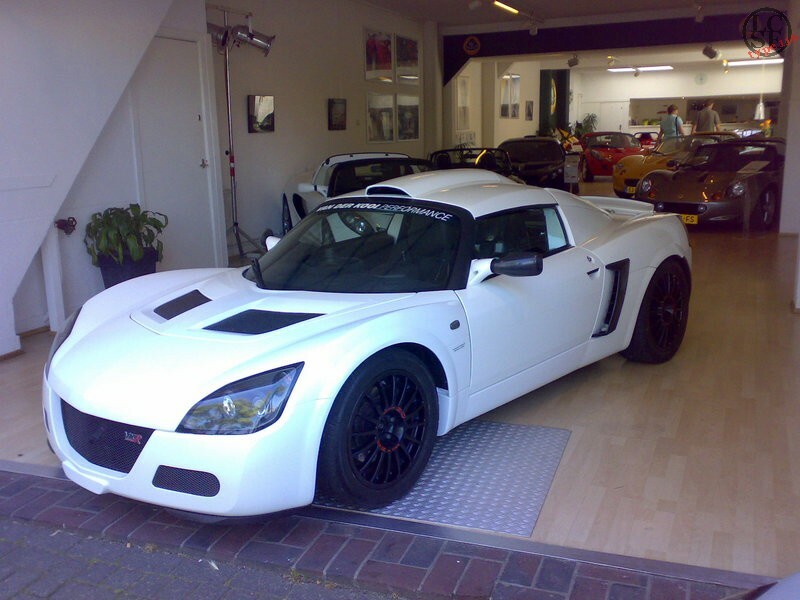 Additional modifications include Elise S2 mirrors with carbonfibre covers, Side air scoops, Front airintakes for improved brakecooling, Black windscreen surround, Turbo rearwing and frontsplitters, Reduced weight and lots of interior modifications.